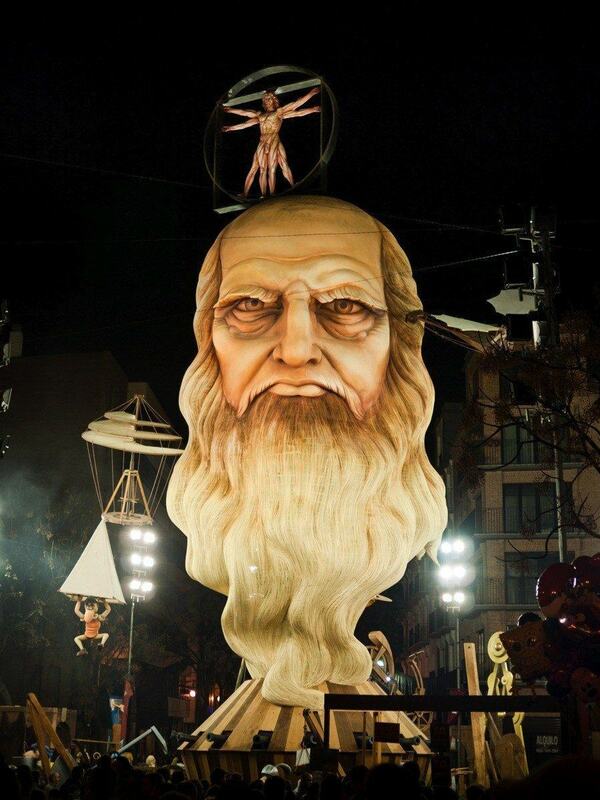 Each March, the people of Valencia, Spain, set their city streets ablaze. 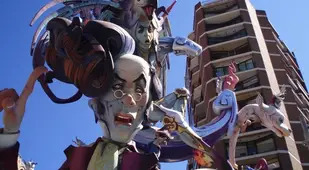 In the lead up to Las Fallas, “the fires,” neighborhood teams spend months creating massive wooden and polystyrene sculptures whose raucous characters – some life-size, some 50-feet tall – look like a cross between My Little Ponies and the tortured souls of a Hieronymous Bosch painting. Once complete, the teams spend a few days marching their works through the streets like parade floats. 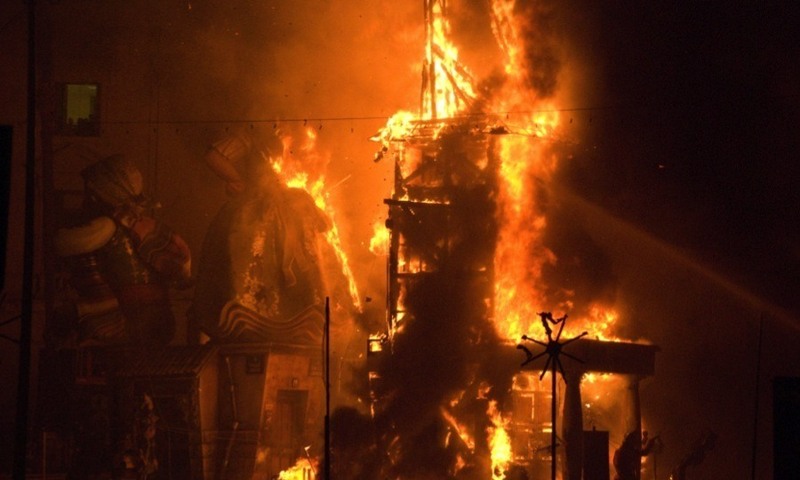 As the clock strikes midnight on St. Joseph’s feast day, March 19th, the teams burn it all to the ground. 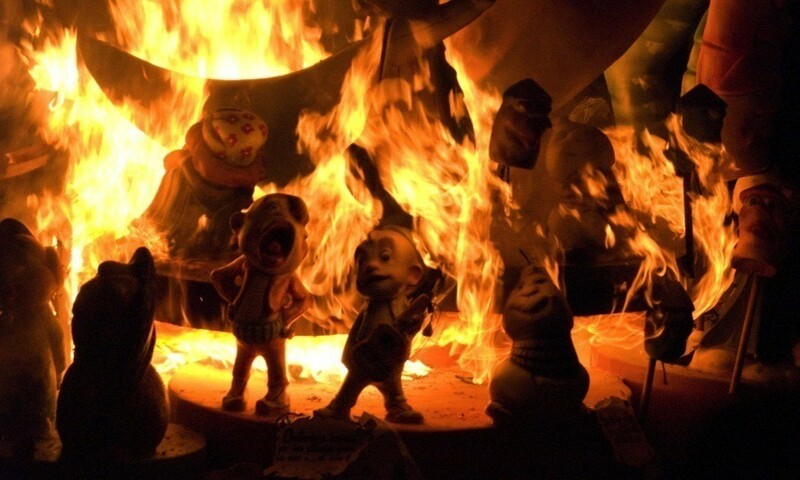 The origins of this fiery rite have gone up in smoke. Though the tradition may have pre-Christian roots, it eventually came to fall on the festival of St. Joseph, the patron of carpenters. The story that gets told most often suggests that centuries ago, during the dark days of winter, carpenters would build makeshift candle stands in their workshops with old boards and wooden posts. As spring approached and the days grew longer, the carpenters could work later into the evening without the need of candlelight. 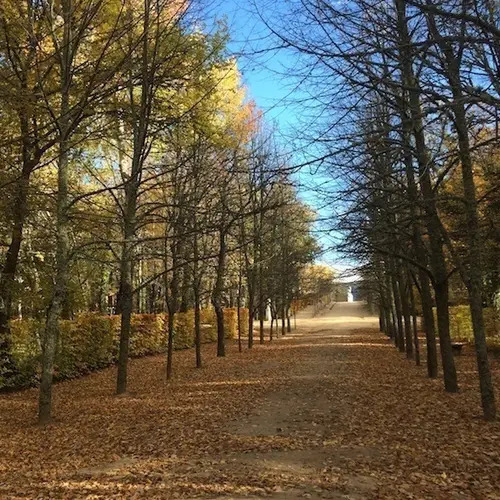 To commemorate the changing seasons – and the day of their patron saint – the Valencian carpenters would burn their makeshift candle stands and perhaps other old scraps of wood in the street. 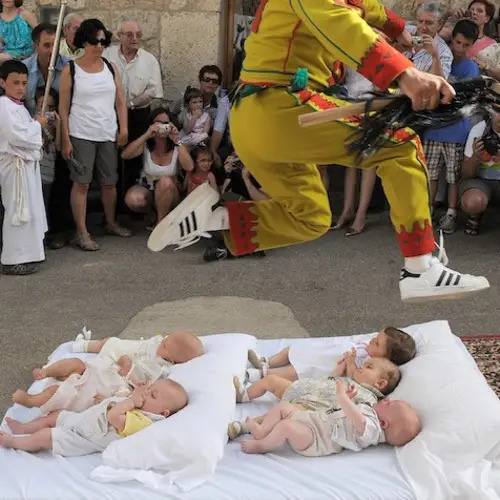 Eventually, the story goes, kids began hanging hats on the posts or drawing faces on the boards, and a new tradition was born. Today, over 300 teams compete each year to make the funniest, most provocative and eye-catching cast of characters they can imagine. 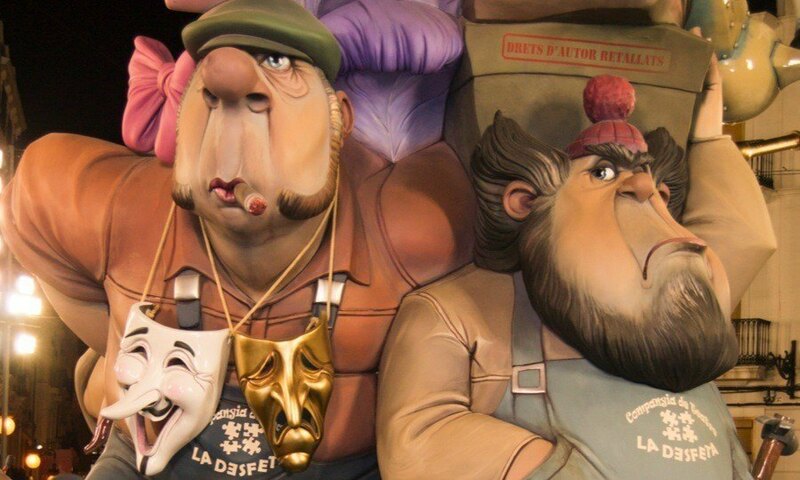 These sardonic effigies, called ninots, often target the rich and famous or, more abstractly, societal vices. Spain’s corrupt political class often appears in various guises. A few teams can spend as much as $75,000 to create their mad polystyrene crew, which will likely end up as ash. 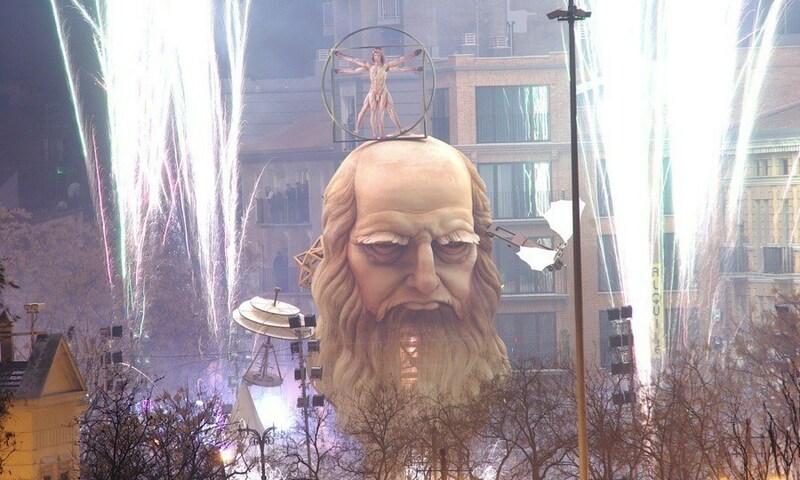 One float, though, will be saved from hellfire. 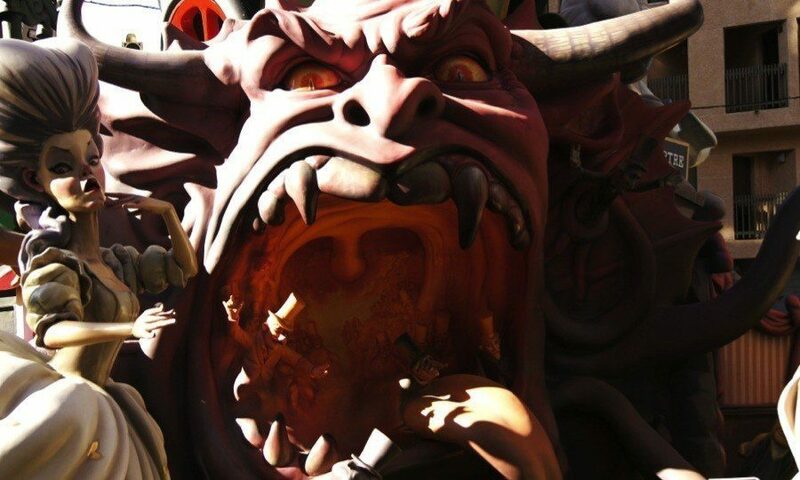 A team of judges selects the year’s best creation to be saved, and winners go on display at the local Fallas museum. Those that are not saved burn. 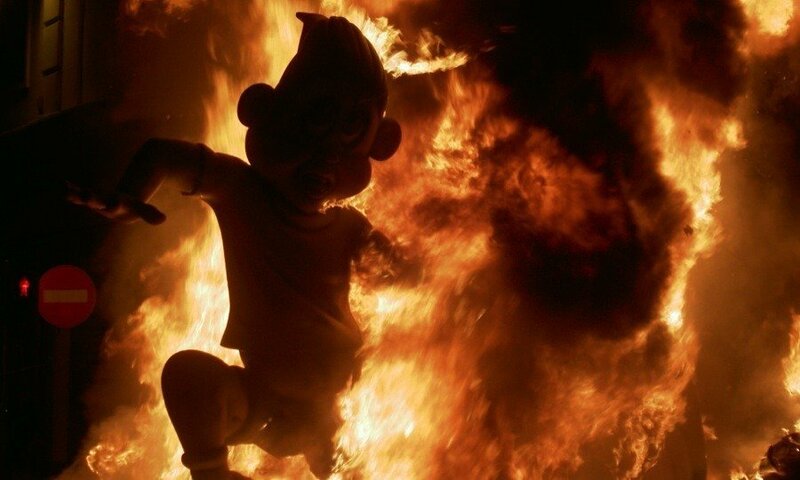 At midnight, as March 19th ticks into the 20th, the teams light fuses and fireworks carefully concealed in the limbs of the ninots, and La Cremà, “the burning,” begins. From one end of the city to the other, the streets become a vision of fiery hell. The wild characters now wear capes of flame. 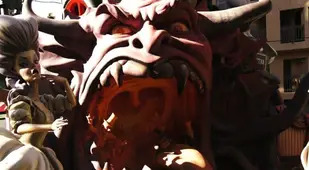 Their faces begin to melt. The structures eventually begin to collapse. Firefighters watch it all, and little damage is ever done, despite the ludicrous spectacle. 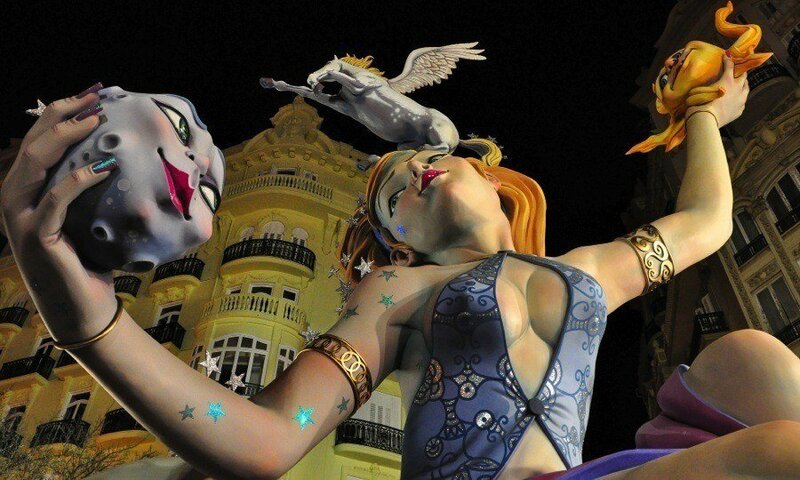 Spain knows how to party. 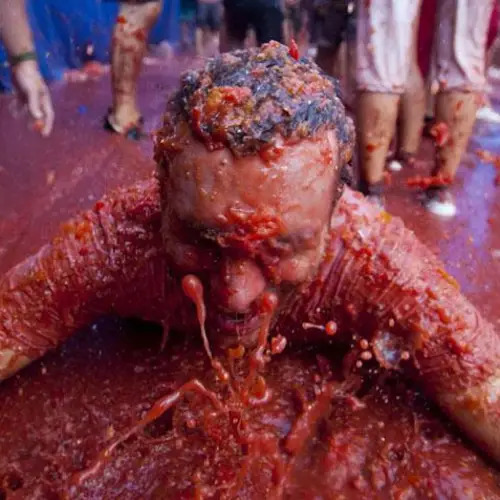 The country has some of the world’s most audacious – and most fun – local festivals, whether it’s the tournament of human-castle building in Tarragona, the massive tomato fight that is La Tomatina in Buñol, or, most famously, the running of the bulls in Pamplona. 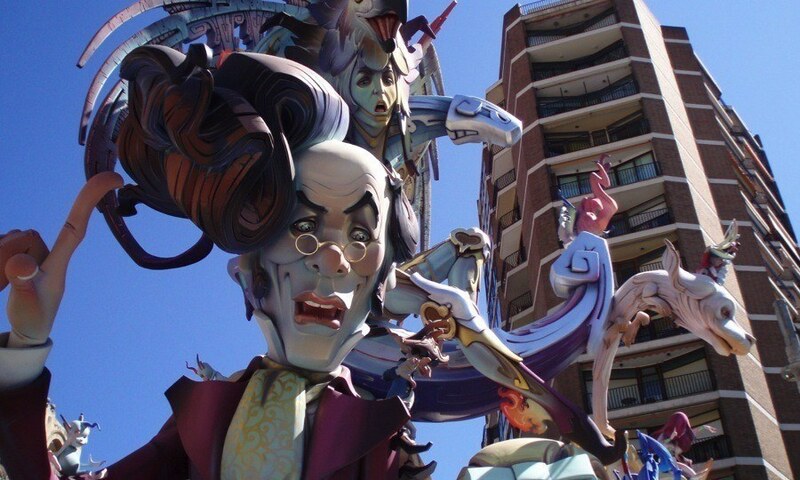 Las Fallas in Valencia is one of the biggest events in the Spanish calendar. 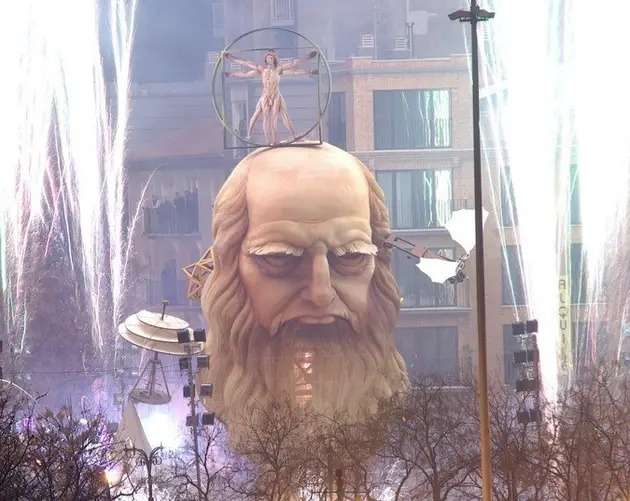 During the festival, Valencia’s population grows from one million to three million as people from across Spain and the world rush in to witness the extravaganza.